John Mayer has been known to shag the hottest celebrities with his celebrity flings, but behind his laid-back womanizer persona, there is a sensitive songwriter. The singer was born on October 16, 1977 in Bridgeport, Connecticut. He began playing blues as a teenager. His singing and guitar-playing talents proved to be enough to get him into Berklee College of Music, but he dropped out after only two semesters and decided to pursue music in Atlanta with his friend Clay Cook. The two played in local coffee shops and co-wrote songs together that combined pop and rock rhythms. Eventually, Cook joined the Marshall Tucker Band, while Mayer started his own successful career. 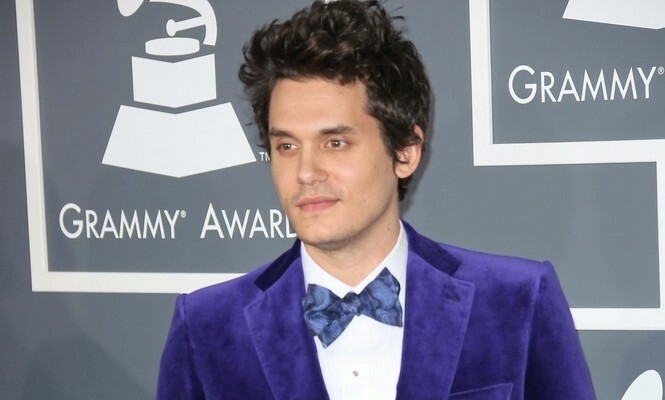 In 2000, Mayer signed with Columbia Aware Records, and in 2001, he released his debut album called John Mayer: Room for Squares, which climbed to number eight on the Billboard 200. In 2003, he accepted his first Grammy for best male pop vocal for “Your Body is a Wonderland.” That same year, his next album No Sophomore Slump hit number one on the charts, and the sentimental song “Daughters” earned him two Grammy awards. Despite its popularity, he felt that “Daughters” pigeonholed him, so he decided to take a different direction and formed a band called The John Mayer Trio, which had a more bluesy, guitar-driven feel. The singer continued to have extreme success with his next album Continuum, and it was his third studio album to go platinum. In 2009, he won two more Grammy awards for the songs “Say” and “Gravity” on Continuum. That same year, he released his next album Battle Studies, which also topped the charts. The singer’s first famous relationship was with Jennifer Love Hewitt. John Mayer admitted that he fell in love, and many questioned if his popular single “Your Body is a Wonderland” was written about the curvy actress. He soon shocked his fans when he stepped out with Jessica Simpson on New Year’s Eve in 2006. After a rocky romance, the pair parted ways for good. He also briefly dated Cameron Diaz and Jennifer Aniston, and in an interview with Rolling Stone, he kisses and tells about his celebrity relationships with both women. After two years out of the limelight, Mayer came back with a bang, releasing his latest album Born Again, which became his third album to hit number one. When it came to his relationship and love life, rumors circulated that he was with Michelle Trachtenberg, Kim Kardashian, Minka Kelly, and Taylor Swift (who may have written “Dear John” about the singer, although she never confirmed that it was inspired by him). He finally settled down with Katy Perry, and they seemed like a match made in heaven, even recording a song called “Who You Love” together. Sadly, after being on-and-off for about a year, the couple called it quits…although they were spotted together again after the 2015 Super Bowl game. Celebrity News: Is John Mayer's New Song 'Paper Doll' about Taylor Swift?